Dog plane safety became a hot issue after a rough week for United Airlines. First, a puppy suffocated after a flight attendant insisted the dog’s carrier be placed in an overhead bin during a three-hour flight from Houston to New York. Then. a family in the process of moving from Oregon to Kansas City, Missouri, arrived at a cargo facility to pick up the family’s 10-year-old German shepherd. Instead, they were given a Great Dane and learned their dog had been mistakenly shipped to Japan in the Great Dane’s place. Finally, a United flight from Newark to St. Louis was diverted after the airline learned it had an unauthorized passenger onboard: a dog. The dog was bound for Akron, Ohio, but was mistakenly loaded onto the St. Louis flight, company spokeswoman Natalie Noonan told The Washington Post. 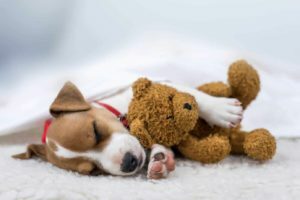 On March 20, United announced it would halt PetSafe reservations while it reviews the service, which lets customers ship pets as cargo. The review, expected to finish by May 1, doesn’t affect pets in the cabin like the French bulldog puppy that died last week. 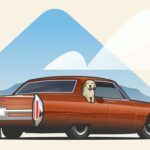 Although most people prefer to travel by car with their dogs, there are times when you don’t have any other choice than to put your precious pup on a plane. When that happens, what can you do to ensure dog plane safety? The ASPCA recommends putting your dog in a well-ventilated carrier that can go under the seat in front of you, but never in an overhead bin. Book a direct flight whenever possible. Put your dog in an airline-approved crate. Be sure the dog has fresh air, water, a toy, treat or blanket to help keep your pup relaxed and comfortable during the flight. 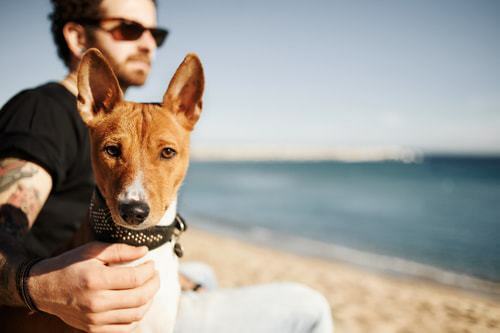 Consult with your veterinarian before your trip to make sure your pet is healthy enough to travel considering his age, breed and the length of the trip. Be sure to bring a pet kit of necessities — including any medications and proof of vaccinations. The number of animals injured or killed on airline flights only include animals that travel in the cargo hold because the Transportation Department doesn’t keep track of animals that travel with passengers in the cabin, USA Today reports. Of the 506,994 animals that flew in plane cargo holds in 2017, 24 died, 15 were injured and one was lost. Of the 24 who died, 18 happened on United flights. The airline has had the highest number of deaths in each of the last five years, with nine of 26 in 2016; 14 of 35 in 2015; five of 17 in 2014; and nine of 21 in 2013, according to the department’s Air Travel Consumer Reports. Use a USDA-approved shipping crate that is large enough for your dog to stand, sit and turn around in comfortably. Line it with some type of bedding—shredded paper or towels—to absorb accidents. Tape a small plastic bag of dried food on the outside of the crate so airline staff can feed your pup in case he gets hungry during a layover. The night before you leave, freeze a small dish of water and place it in the crate. Because it’s frozen, it won’t spill during loading and will melt by the time your dog is thirsty. Secure crate door, but don’t lock it in case your dog has an emergency and airline staff has to help. Mark the crate with your dog’s name, photo and the words “life animal.” Also, include your name and cell phone number. 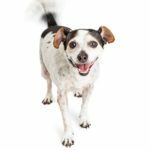 Be sure you also have a photo of your pet in the unlikely event your dog gets loose. Tell every airline employee — on the ground and in the air — that you’re traveling with a dog in the cargo hold. 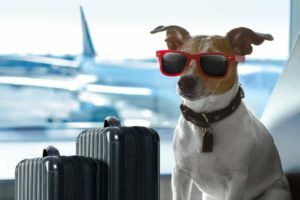 Insist airline staff check on your dog if your flight is delayed for more than an hour. 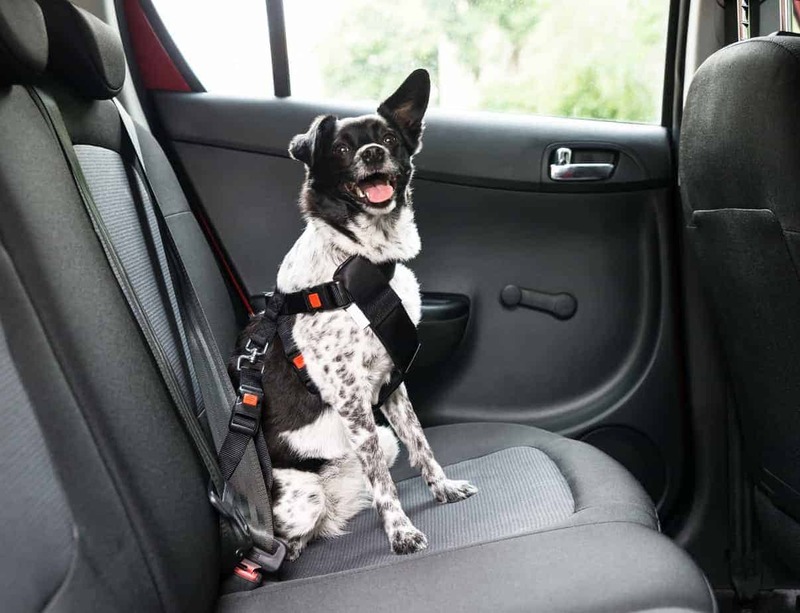 Keep on eye on your dog during your flight with a new Digi-Pet system created by Unisys. The baby monitor-like system uses sensors to monitor environmental factors like temperature, oxygen levels, vibration and light. The Digi-Pet system will automatically send alerts to pet owners and airline staff if there are any issues while the dog is traveling. 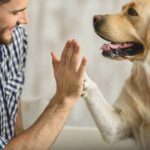 Through a subscription service, Digi-Pet also allows pet owners to keep in touch with their pets through live video streaming, photos and voice exchanges, via an app that works on smartphones and tablets. 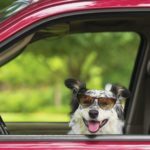 Air travel can be extremely stressful for your dog, so whenever possible find another way to get from point A to point B. But if you need to fly, follow the safety tips so you’ll both arrive safe and sound.